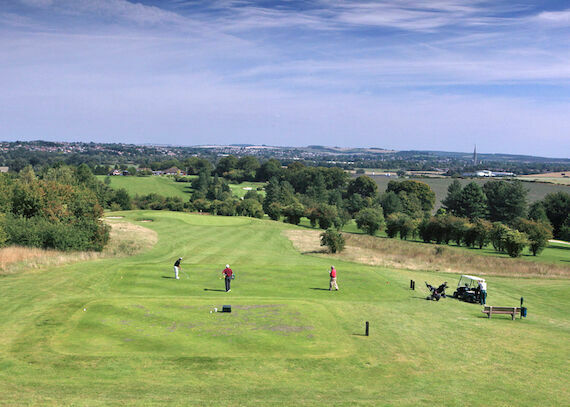 Societies are very welcome at Salisbury and South Wilts Golf Club, and we are lucky to offer 27 holes of free draining top quality downland golf. Many of our societies return year after year and often have additional meetings on our course during the winter months. The courses are playable all year round and only in extreme weather conditions is there likely to be a playing restriction. 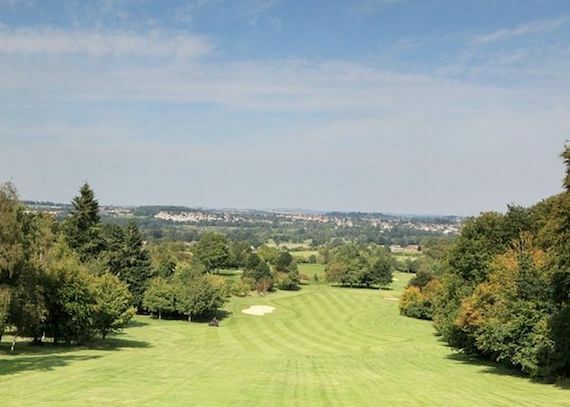 Societies are welcome on any weekday and some Sunday afternoons, and may play the Cathedral Course as well as the 9 hole Bibury Course. We can reserve tee times for groups of 12 or more. For groups of 8 to 11 you are welcome to play and enjoy the above rates, but bookings must be made in advance to ensure that the tee and food is available. Society Lunch - Soup, Sandwiches & Chips, or Ham, Egg & Chips, or Ploughmans or Fish, Chips & Peas or Chicken Curry. Chef's Special - Steak and Guinness Pie, or Chicken Supreme, or Sausages & Mash, or Pork Loin in Cream and Brandy Sauce. Ask for details about our sweet selection. Please note it is one choice for your whole society or visiting group. Please feel free to contact Andy or Mel in the Office for more information and to reserve your Society day. The food we can offer you is of a high quality, with a variety of choices from the menus to suit all tastes. Click here to see the options for 2019. Please note it is one choice from each course for your whole society or visiting group. We can provide alternatives for dietary requirements (vegetarian, gluten free etc) please enquire. We have a number of the easy to use and reliable EZGO Lithium powered buggies. Supplied by Golf Car Uk, they are available for hire at for a very reasonable price: £22.50 for 18 holes or £35 all day. Call early to book your buggy - we are usually able to reserve up to 4 buggies for a Golf Society. 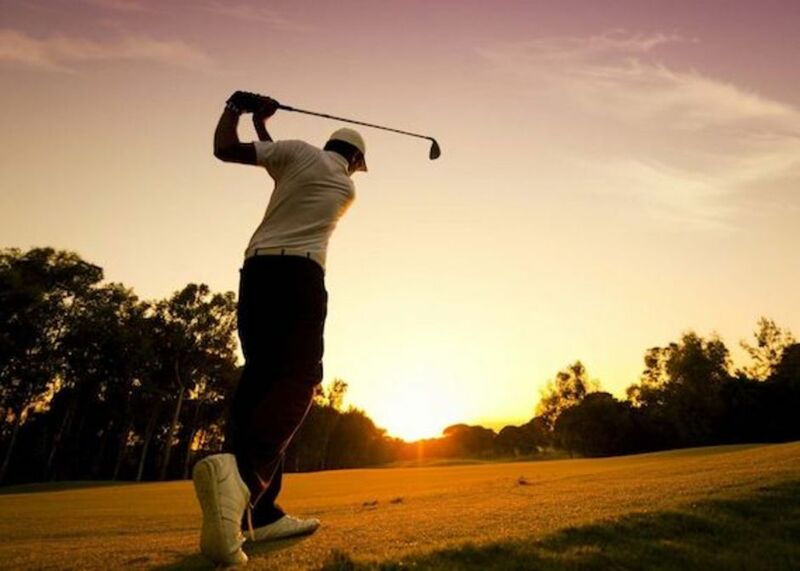 A full day Golf Package for groups of 24 or more for only £65pp, which includes 36 holes of golf, coffee & bacon rolls on arrival, lunch and a two course carvery. We are also able to offer Corporate days out for those business meetings or conferences with a round of golf included as well. Contact Andy or Mel in the Office for more details. Just a quick note on behalf of the BUGS Golf Society to say thanks for a great afternoon on Friday for our Inaugural Championship. When it started to rain we all said ‘here we go again….’ But it stopped. The course was in excellent condition and the food before and after the golf was very good. Thank you from all of us at Gleneagles Golf Society for such a wondeful and memorable day at Salisbury and South Wilts Golf course. We all as you might expect had chat about our day over a pint or two and I have been asked to stress that everyone who came were very impressed with the friendly welcome of the staff all round from the bar when we arrived, to the Pro shop and your office. The welcome unlike a lot of places even included your input in coming out and talking to the guests. It was very much appreciated and thank you very much. It was also agreed that the course was fantastic, in good condition and tidy and the greens were consistent (and consitent with difficulty). The views were stunning and this course is a real jewel. Thank you very much to all of you for providing us with such a great day. "On behalf of the PGA I would like to thank you and all the staff...once again the club was an excellent host for this year's event and as always the golf course was presented to us in immaculate condition."